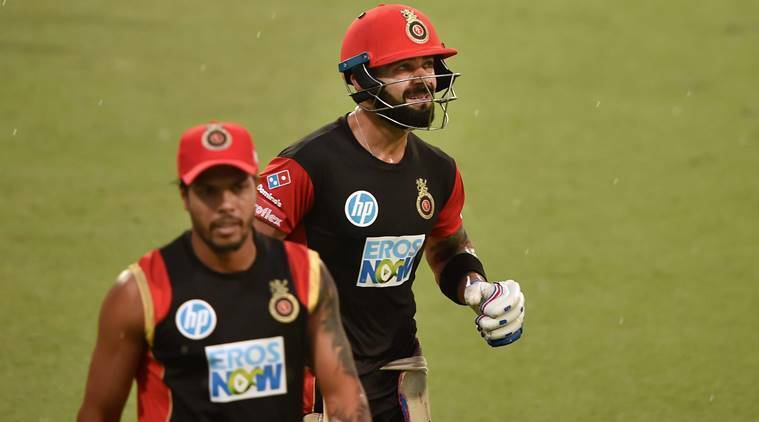 IPL 2018 Live Streaming, KKR vs RCB: Kolkata Knight Riders will square off against Royal Challengers Bangalore in Eden Gardens on Sunday. IPL 2018 Live Score KKR vs RCB Live Streaming: Kolkata Knight Riders will lock horns with Royal Challengers Bangalore at the Eden Gardens on Sunday. This will be the first match for both teams in the 11th edition of the Indian Premier League (IPL). The Knight Riders have opted for a completely new look to their side sans skipper former skipper Gautam Gambhir. How much that will impact KKR, only time will tell. But Dinesh Karthik will be hoping to get his side’s campaign off to a winning start. At the opposite end will be India skipper Virat Kohli, who will be leading a rejuvenated RCB squad. Despite playing away from home, RCB will be looking to win the match and seek revenge after being humbled in the last season’s encounter. The last time these two sides met, RCB were dismissed for the lowest score of the tournament, a paltry 49. Hence, the second encounter of Sunday promises to be a mouth-watering clash. IPL 2018, Kolkata Knight Riders vs Royal Challengers Bangalore will be played on Sunday, April 8, 2018. This will be the third match of the tournament. Where is IPL 2018, Kolkata Knight Riders vs Royal Challengers Bangalore? IPL 2018, Kolkata Knight Riders vs Royal Challengers Bangalore will be played at Eden Gardens in Kolkata. Which TV channels will broadcast IPL 2018, Kolkata Knight Riders vs Royal Challengers Bangalore? IPL 2018, Kolkata Knight Riders vs Royal Challengers Bangalore will be broadcast on Star Sports 1, Star Sports 1 HD, Star Sports Select 1 and Star Sports Select 1 HD in English Commentary. It will also air on Star Sports 1 Hindi and Star Sports 1 Hindi HD in Hindi commentary. They are the official broadcasters of the tournament. How do I watch online live streaming of IPL 2018, Kolkata Knight Riders vs Royal Challengers Bangalore? IPL 2018, Kolkata Knight Riders vs Royal Challengers Bangalore live streaming will be available on Hotstar and Jio TV. You can also catch live scores, live updates and live commentary on IndianExpress.com.